Twentieth Century Fox Consumer Products has detailed the merchandise programme to mark the 35th anniversary of sci-fi classic, Alien. 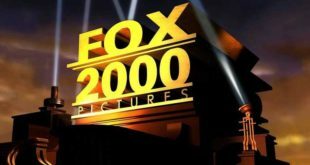 Fox has signed deals with a range of partners spanning the toy, video game and publishing sectors. NECA will release the first ever action figures of Lieutenant Ellen Ripley. The figures will feature the likeness of Sigourney Weaver and the range will span several movies from the Alien series. Initial plans include a figure of Ripley in her Nostromo jumpsuit from the original 1979 film, followed by a Ripley figure based on the 1986 movie Aliens, directed by James Cameron. 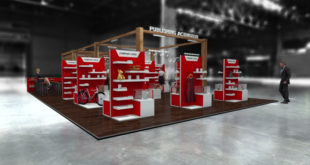 Prototypes of the range will debut at San Diego Comic-Con. Also on the way from NECA will be figures, board games, bobbleheads, plush and toys hitting retail in March 2014. Elsewhere, Bandai’s premium collectors label Tamashii Nations will release super-articulated S.H.MonsterArts figures featuring diecast material.The S.H.MonsterArts Alien Big Chap will be available May 2014. 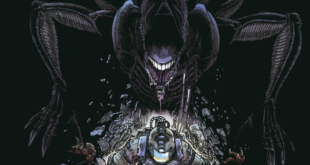 Dark Horse Comics will launch an Alien-inspired new comics programme later this year including Alien, Prometheus, Predator and Aliens vs. Predator. New collectibles from Diamond Select Toys and Collectibles will include MiniMates block figures, vinyl banks, bottle openers and a reproduction of the original 18-inch Alien figure, landing at retail this summer and autumn. Insight Editions will produce a highly-illustrated and a detailed guidebook to the Alien xenomorph and Titan Books will release all-new canon fiction novels based on the film franchise. Titan will also launch a 35th anniversary retrospective called Alien: Archives, a release the firm deems ‘the most comprehensive book ever created about the Alien franchise’. A survival horror game from Sega called Alien: Isolation will be available on PS4, Xbox One, PS3, Xbox 360 and PC in late 2014 and a range of Alien glasses and retro ReAction Figures will be on the way from Super7 and Funko. Sideshow Collectibles will also bring high end, limited edition Alien franchise products to retail, including an bust of the Big Chap Alien design, available for pre-order in April 2014. Other partners include Hollywood Collectibles for highly-detailed prop replicas, Upper Deck for a new collectible card game, Hallmark for ornaments, Square Enix for Aliens: Colonial Marines Play Arts KAI action figures, Titan Merchandise for stylized mini vinyl figurines, Rizzoli for wall calendars and Rubie’s for Halloween costumes. “As we celebrate the 35th anniversary of one of the most successful film franchises of all time, we are thrilled to introduce an array of commemorative products across different categories in partnership with iconic brands including Neca, Sega and many more,” said Jeffrey Godsick, president of Fox Consumer Products. More partners with apparel and additional collectible merchandise will be announced throughout the year.